Prepared by the U.S. Environmental Protection Agency (U.S. EPA) Office of Land and Emergency Management, The Brownfields Road Map 6th Edition breaks down Brownfields site investigation and cleanup into an easy to understand, step-by-step process that provides valuable and up-to-date information to a wide range of Brownfields stakeholders involved in or affected by the redevelopment of Brownfields sites. It introduces readers to a range of considerations and activities, and provides links to online technical resources and tools. matured, the second (1999), third (2001), and fourth (2005) editions were published to update information and resources associated with the program, innovative technologies, and emerging best practices. The fifth edition, published in 2012, streamlined the publication to make it more accessible to users, providing additional resources covering new technology applications and methods. This edition builds off the streamlined approach of the fifth edition, providing updated content and guidance on the Brownfields remediation process. New features include an updated list of “Spotlights,” highlighting and describing key issues. This edition provides updated information on Brownfields funding and best management practices (BMPs), with guidance on how to incorporate greener cleanups and new standards into the cleanup process. New and less experienced stakeholders. The Road Map will help these users learn about the technical aspects of Brownfields by introducing general concepts and methods for site investigation and cleanup. Decision-makers who are familiar with the EPA Brownfields Program but are also interested in obtaining more detailed information. The Road Map provides these users with up-to-date information about the applicability of technologies and access to the latest resources that can assist them in making technology decisions. In addition, it highlights BMPs that have emerged in recent years. Community members. The Road Map helps to encourage community members to participate in the decision making process by providing information about the general site cleanup process and tools and alternatives to site cleanup, as well as guidelines and mechanisms to promote community involvement. Tribal leaders. The Road Map offers information on technical and financial assistance specific to tribes for implementing cleanup and restoration activities on tribal lands, as well as successful remediation examples highlighting the potential community restoration opportunities associated with Section 128(a) Response Program funding. Stakeholders who hire or oversee site cleanup professionals. The Road Map includes information to help stakeholders coordinate with many different cleanup practitioners, such as environmental professionals, cleanup service providers, technology vendors or staff of analytical laboratories. The Road Map provides these stakeholders with a detailed understanding of each phase in a typical Brownfields site cleanup and presents information about the roles that environmental practitioners play in the process. Regulators. The Road Map will increase the understanding by regulatory personnel of site characterization and cleanup technologies and approaches. 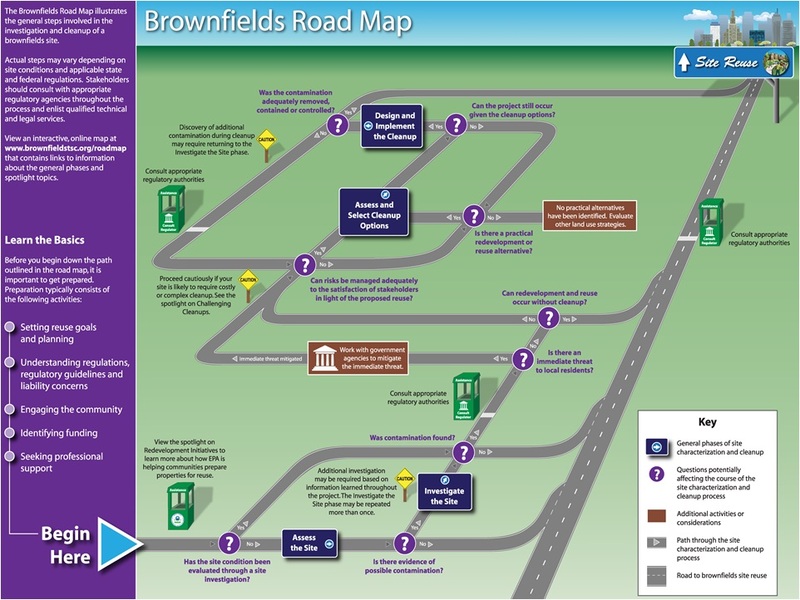 The Road Map also serves as a resource that regulators can use to provide site owners, service providers and other stakeholders with useful information about the EPA Brownfields Program. The Road Map also provides links and pointers to additional information on specific technologies, approaches, and issues. 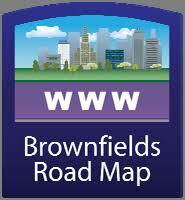 Other potential Brownfields stakeholders. The Road Map helps other stakeholders, such as financial institutions and insurance agencies, by providing information for their use in assessing and minimizing financial risks associated with Brownfields redevelopment. The Road Map draws on the EPA’s experiences with Brownfields sites, as well as Superfund sites, corrective action sites under the Resource Conservation and Recovery Act (RCRA), and underground storage tank (UST) sites to provide technical information useful to Brownfield stakeholders. Specific conditions—such as the nature and extent of contamination, the proposed reuses of the property, the financial resources available, and the level of support from neighboring communities—vary from site to site. Readers of the Road Map are encouraged to explore opportunities to use the BMPs described in the following pages in accordance with applicable regulatory program requirements. The use of BMPs and site characterization and cleanup technologies may require site specific decisions to be made with input from state, tribal, and/or local regulators and other oversight bodies. 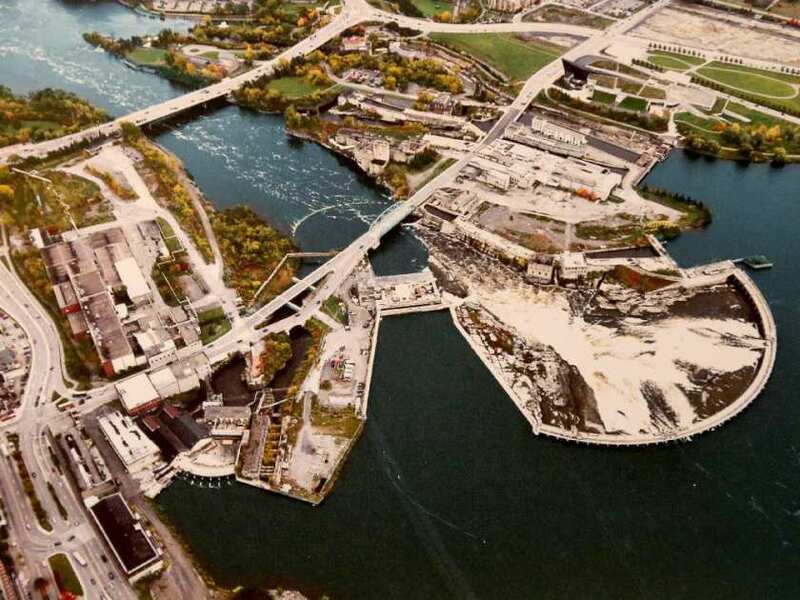 As reported by Laura Osman of the CBC, Councillors on Ottawa’s finance committee unanimously approved a $60-million grant to clean up contaminants to make way for a massive new development on Chaudière and Albert islands. Windmill Development Group applied for the grant for its mixed-use Zibi project. Windmill will clear the contaminated soil on the site, which has historically been used as an industrial site, and demolish a number of buildings. “These are contaminated lands on a derelict site in the city’s urban core,” said Lee Ann Snedden, director of Ottawa’s planning services. “This truly is a poster child for a brownfield grant. The city’s brownfields redevelopment program awards funds to developers for cleaning up contaminated sites and deteriorating buildings, which helps encourage developers to build in the core rather than the suburbs. The grant would pay for half of the total projected cost of the cleanup. Windmill has promised to create a $1.2 billion environmentally friendly community with condos, shops, offices, waterfront parks and pathways on the 15-hectare site, which spans both the Quebec and Ontario sides of the Ottawa River. The city will only pay for the actual costs of cleanup after the invoices have been verified, Mayor Jim Watson said. The developer promised to only do the work if they find contamination is present. “It would be fantastic news for us as the proponent if there’s less contaminants there,” said Jeff Westeinde with Windmill Development Group. The developer hopes to have the Ottawa part of the development completed in seven or eight years. Snedden pointed out the city will not pay to clean up the nearby LeBreton land to allow development because the land is controlled by the federal government. But the National Capital Commission technically owned about 20 per cent of the Zibi development lands as well said Coun. Catherine McKenney, who argued the federal government should contribute to the cleanup costs. The NCC owned the lands and had a perpetual lease with Domtar, which operated a paper-mill on the site for nearly 100 years. “So why are we paying the cost?” asked Peter Stockdale with the Fairlea Community Association. Some councillors received letters from constituents concerned about the large amount of money going toward a money-making venture. Capital ward Coun. David Chernushenko acknowledged the grant was “staggeringly” large, but said someone must be responsible for cleaning up contaminated sites. “I don’t see this as some sort of corporate welfare,” he said. The grant will still need to be approved by city council. Chaudière and Victoria islands seen from the air above the Quebec side. As reported in the Phil Tank in the Saskatoon Star Phoenix, the city of Saskatoon has tested the soil at several locations where transit stations are planned for the bus rapid transit (BRT) system. The results of the tests will not be known until later this month, but Mayor Charlie Clark says contaminated sites, like former gas stations, pose a big issue for Canadian cities. The testing took place along the proposed BRT red line, which is expected to run on 22nd Street on the west side of the river and on Eighth Street on the east side. Clark, who was promoting an event to gather residents’ input on the city’s various growth plans, said he would like to see clearer rules from the province and the federal government on contaminated sites. The City of Saskatoon has limited tools to force sites to be sold or redeveloped or to compel owners to clean up contamination, he said. “We frankly don’t think the taxpayers of Saskatoon should have to pay to clean up contaminated sites where somebody was operating a gas station or a fuel distribution site for many years, generating a profit off of it, and then leaving it as a barren and wasted piece of land,” Clark said. The city’s brownfield renewal strategy is among a number of different planks in its overall growth strategy, which was featured at a community open house in early March. Saskatoon’s Brownfield Renewal Srategy (“BRS”) states that abandoned, vacant, derelict, underutilized properties shouldn’t stop revitalization. The strategy supports redevelopment of brownfield sites to maximize their potential and revitalize the main transportation corridors within the City. The goal of the BRS is to create environmental guidance manuals, provide advisory services, and implement incentive programs to encourage brownfield redevelopment. The City of Saskatoon sees the BRS as requirement for achieving the City’s target of achieving 50% growth through infill. The BRS will create a suite of tools and programs designed to assist prospective developers and property owners with the environmental requirements associated with impacted and potentially impacted brownfields. Mayor Clark noted Saskatoon and its surrounding region has been identified as the fastest growing metropolitan area in Canada, with 250,000 additional residents anticipated in the next few decades. 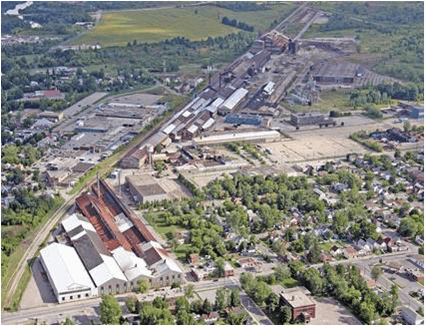 As reported in the Welland Tribune, Welland, Ontario is on top of the heap when it comes to incentivizing its brownfield community improvement programs and has success stories it can share and build off of, a consultant told city council this week. Luciana Piccioni, president of RCI Consulting, was before council Tuesday night to talk about Welland’s draft brownfield community improvement program, an 11-year-old document in need of a review and update. Piccioni went through four programs the city currently has in place — an environmental site assessment grant program (ESA), brownfields tax assistance program (TAP), brownfields rehabilitation grant program (TIG), and brownfields planning and building permit fees refund program — and what needed to be updated and changed with each. “Overall, with the exception of the rehabilitation grant program, Welland’s brownfield incentive programs are still competitive. Welland is one of only a few municipalities in Ontario that offers both a development charge reduction and a TIG for brownfield redevelopment projects,” Piccioni said. He said it’s one thing that sets the municipality apart from others in the province. As RCI began to update the brownfield community improvement programs, a half-dozen key stakeholders in the development industry and brownfield developers were invited to a workshop. Piccioni said the stakeholders had positive responses about applying for incentive programs and said city staff were recognized as being responsive and good to work with. 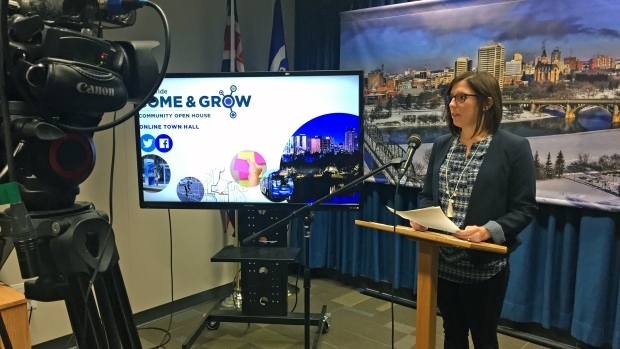 The stakeholders also said the city has an open for business and co-operative mindset, but suggested increasing dedicated city staff resources to help speed up the application process. Comments about Niagara Region with respect to the handling of brownfield and other CIP incentive programs applications were less than positive, Piccioni told council. Stakeholders also suggested the city increase its flexibility when it comes to interpreting program requirements, allowing for unique situations to be looked at and evaluated for possible inclusion. It was also suggested the city consider expanding and enhancing the marketing of off of the incentive programs, success stories and long-term benefits. “You’re starting to have those success stories now,” Piccioni said, adding he expected to have a final draft ready for council to see in April. Council heard some of the changes being made to the plans included making it harder for people just trying to get financing for a brownfield property with no intention of developing it. 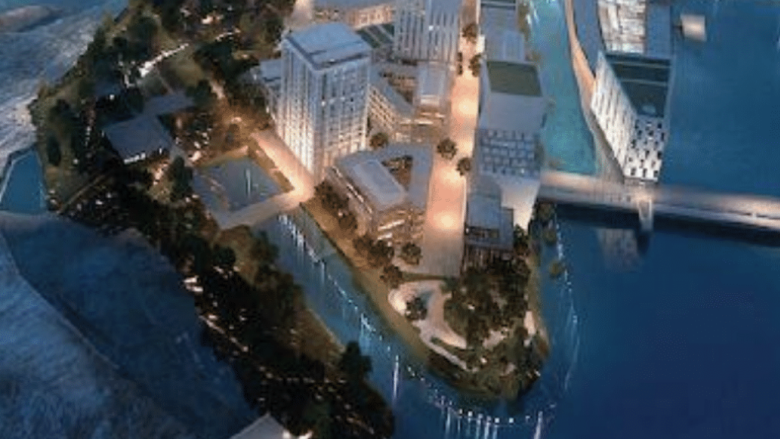 Piccioni said developers would be asked to provide a letter of intent. As of March 2017, there were 17 applications submitted for ESA grants, the TIG and rehabilitation grants, with 15 approved, two not approved and two abandoned. The total grant amount requested was roughly $560,000. As reported by Martin Menachery in Arabian Oil and Gas, Over 95% of projects in the process industry in the Middle East (and comparable percentages around the world) are retrofits or expansions of existing plants that seek to increase capacity, comply with regulations, or introduce new technology to improve performance. Moreover, often the building of a new plant is done on the brownfield site of an existing facility. For all these projects, capturing and modelling the existing context is critical to decision making and both conceptual and detailed engineering design. 3-D Software reality modelling technology is increasingly being leveraged to support these critical workflows. In this year’s submissions for the ‘Be Inspired Awards’, there are five excellent examples using reality modelling technology in the process industry, demonstrating how this technology has now become an essential part of any brownfield or greenfield plant design project. UCB, a global biopharmaceutical company, is using reality modelling for its iconic manufacturing plant in Belgium (which was established in 1928) to assess options and communicate ideas to help this complex and established site become carbon neutral by the year 2030. ContextCapture was used to create an engineering-ready 3D model of the entire complex, including all the buildings, production facilities, roads, and parking areas, using both drone and terrestrial photography. This context enabled the engineering team to quickly produce a 3D model to convey ideas and determine options. Point-cloud data from laser scans was then added to the model to enable accurate quantities to be calculated and precise measurements to be given to contractors for the priority work packages. ABS Steel needed to modernise the fume extraction system for its large steel complex in Udine, Italy, to meet new regulations. It did not have a survey of the entire site since the complex was the result of a merger of two plants in 1988. ABS Steel awarded the contract to BM Engineering to survey the site. It used laser scanning for inside the plant and photography for outside the plant, creating a combined engineering-ready model in MicroStation using ContextCapture and Bentley Pointools, which was read into AECOsim Building Designer and used to design the new fume extraction system. The model was then used to test the structural integrity of the aging parts of the factory. By using a drone to capture photos of the roofs of the industrial buildings, and using ContextCapture to accurately create the 3D model, the project avoided the need to construct at least 70,000 temporary structures (guardrails, walkways, ladders, PPE, etc.) to conduct the survey work. 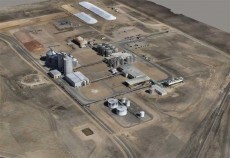 Flightline Geographics (FlightlineGeo) solved a problem for an owner of an ethanol plant in Kansas, United States, plant expansion of which was impeded by a lack of a drainage plan that would satisfy the local municipality. 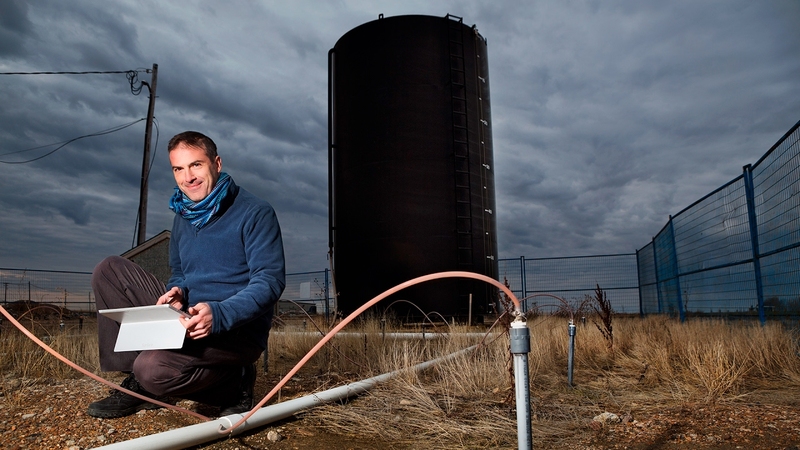 Traditional alternative methods, such as ground surveying and either ground or aerial LiDAR, were eliminated as possible solutions due to the short time frame and limited project budget involved. It was decided to use a drone (UAV) and, once survey ground control was placed, the UAV capture of the 200-acre site was completed in a single one-hour flight. The team used ContextCapture to produce the 3D model that engineers needed to quickly calculate the results for the drainage and construction study, which was presented to municipal authorities a few days later. Moreover, the team leveraged the same work to create a 3MX reality mesh that could then be used for visualisation within the Acute 3D viewer. It took just one week to conceive, capture, process, and deliver the project, and gain approval. Technical Solutions International (RBI) is a world-class engineering inspection company headquartered in Durban, South Africa. RBI has deployed a solution that combines the use of unmanned autonomous vehicles (UAVs or drones), 3D reality modelling software (ContextCapture), a geographical information system (Bentley MAP), and engineering documentation management (ProjectWise) to manage the entire inspection process. Its clients include petrochemical, pulp and paper, power generation, and telecommunications firms. The new process enables RBI to deliver more competitive services to its clients that speed survey time considerably and increase the value and visibility of its inspection survey data. “UCB SA is driving a ‘smart factories’ initiative, leveraging Industry 4.0 and Bentley technology. Our objective is to reorganise production so that we are more adaptable and effective in the allocation of resources. We store our engineering data in ProjectWise for better collaboration among colleagues,” said Joseph Ciarmoli, Head of CAD engineering, UCB SA. “Using ContextCapture for 3D modelling of our site provides geo-referencing and allocates geographical coordinates to our data. Analysing the 3D model together with the orthophoto drawings provides the official record of our land registry data, waterways, and buildings,” added Ciarmoli. “We can also bring this 3D model into AECOsim Building Designer to support any building design changes. For proposed modifications to our production facilities, we use OpenPlant Modeler and OpenPlant Isometrics to provide precise 3D data for contractors and to automate the detection of clashes between pipes, structures, and equipment,” observed Ciarmoli. “The interoperability of Bentley products has made it possible to optimise and significantly reduce the survey and reality modelling time, while also allowing a BIM model to be created that can easily be used by all stakeholders (structural and plant designers), who have decidedly and significantly improved the efficiency of their integrated design, allowing the implementation of the first revamping phase to be reached just three months after delivery of the BIM model,” said Marco Barberini of BM Engineering. “Reality modelling using ContextCapture from Bentley enabled FlightlineGeo to process a large amount of data into information for the client in near real time. The project was completed ahead of time and under budget, allowing the company to acquire its expansion permit and move on with production of renewable energy,” commented Devon Humphrey, CEO, FlightlineGeo. “Bentley’s range of products and integration between their products and our automated UAV systems gives us and our clients an added advantage against an ever-improving competitive market. The future we live in today,” said Stanley du Toit, technical and solution director, RBI Technical Solutions International. 3D design and conceptual model of the city of Coatesville’s “The Flats” brownfield redevelopment, a rugged, 30-acre former steel-mill site located 40 miles west of Philadelphia.